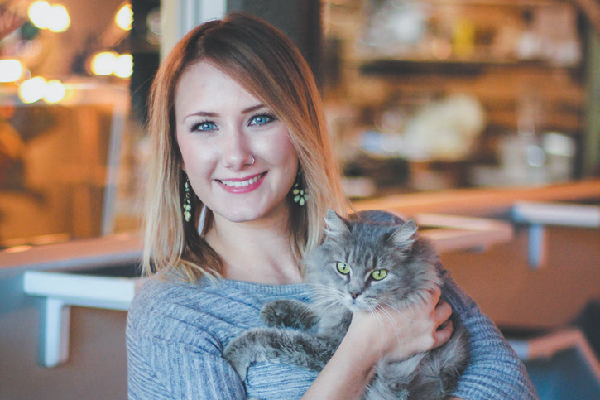 Learn more about Java Cats, Atlanta’s first cat cafe, and how founder Hadyn Hilton is using her new business to give back to Atlanta’s four- and two-legged community. 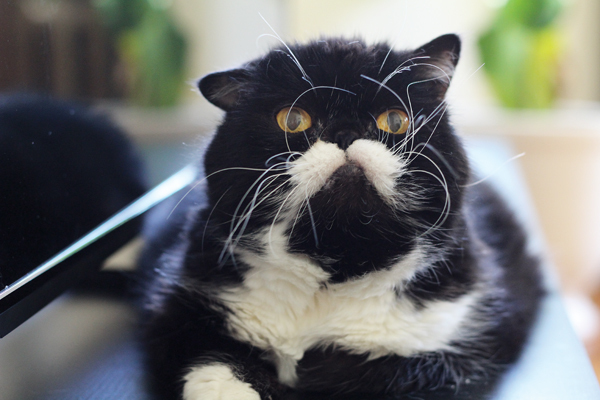 A Cat Named D.O.G. 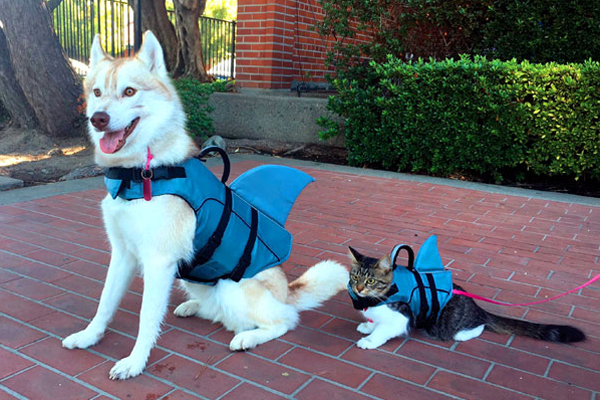 Helps Train Dogs at Support Dogs, Inc.
A cat training support dogs? 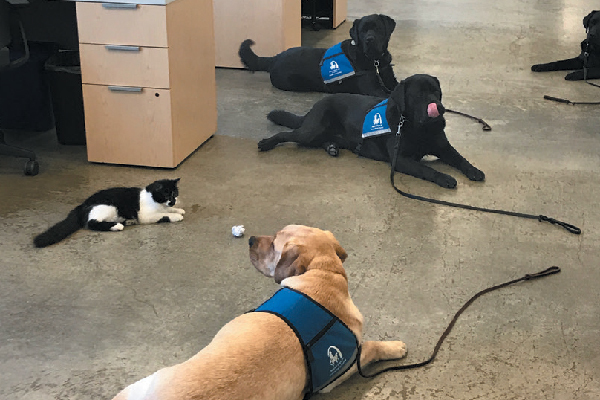 Welcome to the life of D.O.G., a cat who helps train the support dogs at Support Dogs, Inc., in St. Louis. 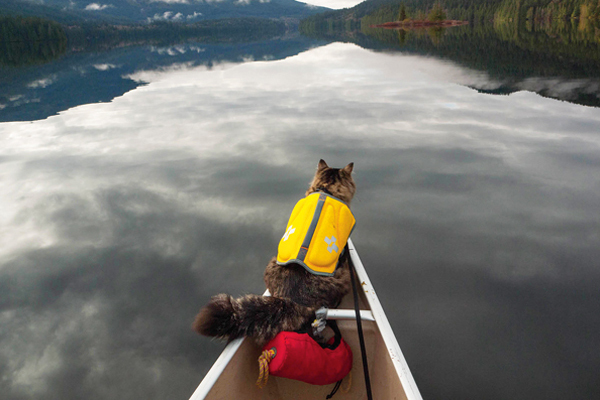 Hiking, kayaking, camping, canoeing — these cats (yes, cats) get out and explore nature. 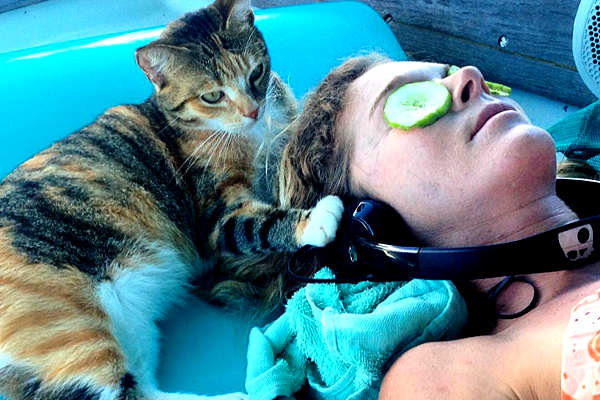 Captain Liz Clark, an environmental activist, met Amelia while docked and made her a ship's cat. 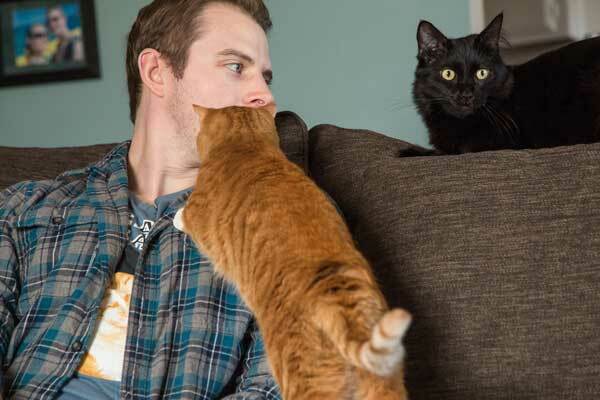 Once a witness to murder, he helps advocate for animal-friendly domestic violence shelters. 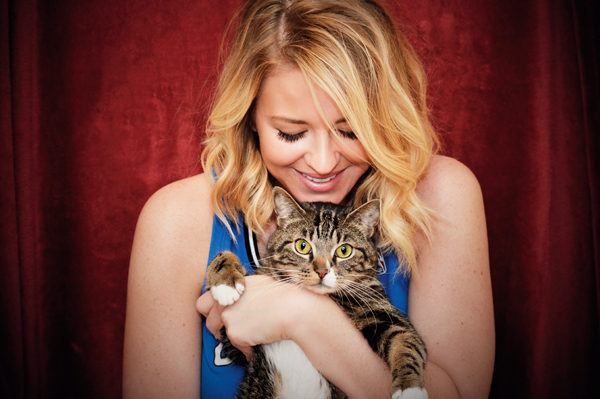 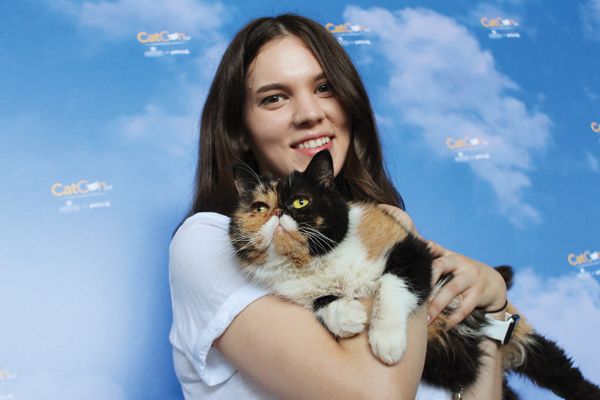 The NBA TV personality talks about her cat, Magic, and helping shelters through social media. 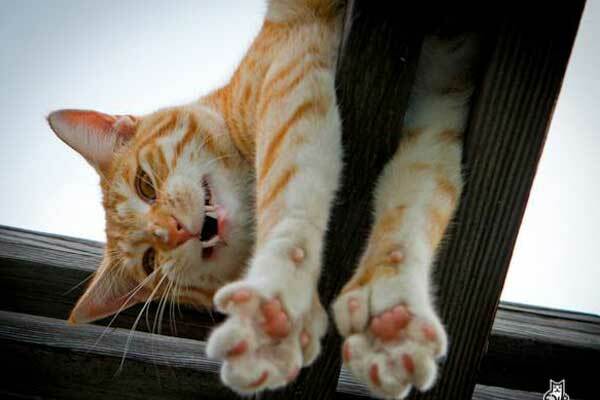 The popular rescue cat who's also polydactyl is using his fame to improve other cats' lives.